The Republican Party is not, as some commentators wail, in “chaos” today. It is in rebellion, in revolt, as it was in the early 1960s when Barry Goldwater’s true believers rejected Eisenhower Republicanism and Nelson Rockefeller to nominate the Arizona Senator for president. A similar and bristling hostility to today’s establishment has arisen, in the GOP Congress, the country, and the presidential race. The acrimony attendant to this militants revolt explains why Speaker John Boehner packed it in, singing “Zip-a-Dee-Doo-Dah,” and why Donald Trump remains far out in front for the nomination. 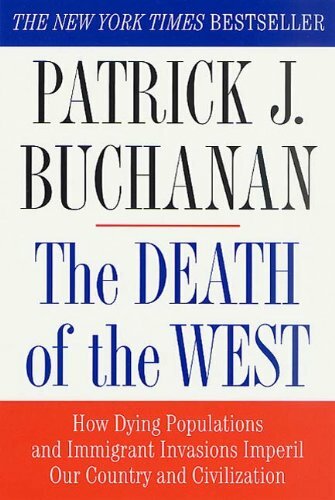 The Death of the West:... Patrick J. Buchanan Check Amazon for Pricing. Ryan’s popularity and pleasant persona are not going to be able to smooth over those divisions. For they are about ideology, and about issues such as free trade and amnesty for people here illegally, where Ryan stands squarely with the establishment and against the revolt. Many House rebels and Trump supporters look on the hollowing out of America’s industrial base as the direct result of trade treaties negotiated for the benefit of transnational corporations, whose profits are contingent on cutting production costs by moving factories out of the USA. Ryan voted for all of those trade deals. And Ryan voted for fast-track, the unilateral surrender of Congress’s power even to amend the trade treaties that Barack Obama brings home. The TPP has already been rechristened by Republican rebels as “Obamatrade.” If Ryan harbors ambitions to be president, he will steer clear of this coming battle between nationalism and globalism. On the issues of mass immigration and illegal immigration that have roiled the Republican race, Ryan is regarded as an open-borders man. 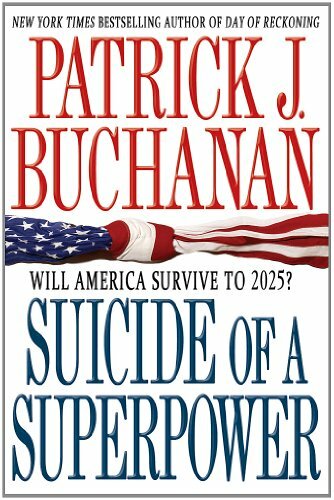 Suicide of a Superpowe... Patrick J. Buchanan Best Price: $2.74 Buy New $6.08 (as of 04:25 EDT - Details) In the early 1960s, the Goldwaterites demanded “A Choice, Not an Echo” in the title of Phyllis Schlafly’s best-seller, an updated version of which is now in print. Those conservatives did not want to compromise with their adversaries in the Republican establishment or Democratic Party. They did not want to work together. They wanted to change policy. They wanted to change the direction of the country. Backing the Freedom Caucus in the House and the “outsiders” in the GOP presidential race are men and women of a similar mindset, who have been recognized and re-identified by the National Journal’s John Judis. Their temperament is that of their forebears in the ’60s and ’90s, but their issues are today’s. Patriotic and nationalistic, they cherish the country they grew up in and do not want it changed by mass migration. They want illegal immigrants sent back. On whether a devout Muslim should be president, they are with Dr. Ben Carson. When Trump says, “We never win anymore,” that resonates to these folks. 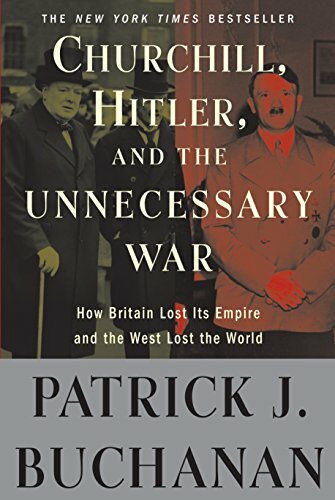 They see 21st-century America as a nation that cannot win its wars, or secure its borders, or build an infrastructure of roads, bridges, rails and airports to match those rising in other countries. Popular resistance to the dictates of Brussels and Angela Merkel’s Berlin, and to mass migration from the Middle East and Africa that threatens to swamp the smallest continent, are familiar to the Americans of 2015 as well. “Young Guns” Cantor and McCarthy are now lying toes up in the OK Corral, and if Paul Ryan becomes speaker, he will end up the same way.